Chelmsford City were made to pay for a late defensive error as Braintree Town came from behind to draw 2-2. Phil Roberts opened the scoring for Braintree midway through the first half as he converted a set-piece for the visitors, Kudus Oyenuga then restored parity as he slotted home from the penalty spot before half-time. Shaun Batt curled the Clarets in-front on the hour-mark as his first-time shot took advantage of a defensive error before the Clarets suffered their own defensive collapse as Roman Michael-Percil tapped into an empty goal. Chelmsford City boss Rod Stringer made two changes to the side that drew 2-2 with Braintree Town on Boxing Day. Luke Daley and Matthew Johnson were left out of the squad as Craig Braham-Barrett returned from illness and Shaun Batt went into the starting eleven. The hosts started brightly as Chris Dickson forced a low save from Nathan McDonald before Roberts struck the side netting from close range inside the opening five minutes. Reece Grant’s breakaway run from Michael Spillane briefly troubled City, but the Iron midfielder saw his shot saved low by Sam Beasant. A lobbed pass from Oyenuga almost created space for Dickson to run onto but it was cut out by Mark Okoye, the defender’s block fell back to Oyenuga who sent a first-time shot towards goal, but it went well over. Chelmsford had loud calls for a penalty waved away midway through the first half. Oyenuga burst down the left wing and was tripped by Christian Frimpong as he went, he carried on and reached the box where he beat three Iron defenders before being chopped down. However, Whistler Jack Packman awarded the hosts a corner and turned away their penalty claims. But it was the visitors who scored first, doing so in a controversial manner. A long freekick into the City half was played across by Joseph Ellul to Phil Roberts who smashed into an empty net. But the hosts were left infuriated as Roberts began the move in an offside position, and they felt that he was still offside when he scored. Seven minutes later, though, the scores were levelled as Chelmsford were awarded a penalty for handball. Oyenuga stepped up and – having netted from the spot in the previous meeting with Braintree on Boxing Day – he slotted home into the bottom right corner right before half-time. Roberts showed signs of intent early in the second half when he attempted to lob Beasant from range, however his effort went well over. Dickson then struggled to control in a crowded box as he saw the ball bounce to Graham who had a fierce shot blocked. City’s on-loan winger Graham continued to create chances for the Clarets as he cleverly beat his man down the left wing to fizz a cross to Dickson who had his poked shot put wide for a corner. Moments later Shaun Batt slid the ball through for Dickson to run onto, however the ball bobbled up as he tried to play backwards, and he was dispossessed by the visitors. But four minutes later Batt did not need to rely on his strike partners, as he sent a curling shot into the bottom corner after 63 minutes, to put City ahead. Bradley Quinton’s first attempt at levelling the scores came just after Batt’s strike, with the introduction of Roman Michael-Percil for Samir Bihmoutine while Rod Stringer replaced Shaun Batt with Jonny Giles soon after. The Clarets searched for a third goal to consolidate their lead but were unable to convert from a succession of corners. Quinton continued to make changes in order to try and salvage a point as he replaced Reece Grant with Karl Oliyide with 18 minutes remaining. Substitute Giles almost split the visiting defence with a through ball for Dickson, however the pass was cleverly cut-out. Chris Smith was then required soon after at the other end of the pitch to ensure that Billy Crook could not deliver a cross. With 12 minutes left time looked to be running out but Quinton continued to have hope and faith in his side, swapping defender Christian Frimpong with midfielder Luke Allen to create more chances. City continued to look the more likely side to score but when Graham tumbled over his own feet rather than striking the ball Braintree broke forward, however their attack was brought to an end as Roberts was booked for a clear dive. But with seven minutes left on the clock it was heartbreak for City as a quick counter-attack brought the Iron level. Goalkeeper Beasant mis-judged a forward pass from Jonathan Muleba which allowed Marcel Barrington to play across to Michael-Percil who calmly tapped into an empty goal. Chelmsford had one last chance to rescue all three points but Giles saw his freekick hit the top of the wall and then Davies shot over as the Clarets were left ruing four dropped points from winning positions over the Christmas period. 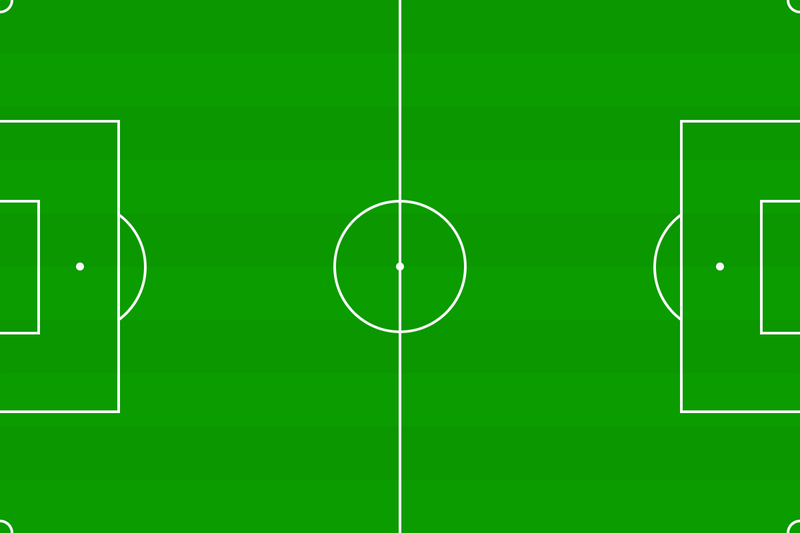 [i]Chelmsford City:[i/] Kudus Oyenuga (43’ pen), Shaun Batt (63’). [i]Braintree Town:[i/] Phil Roberts (35’), Roman Michael-Percil (83’). [i]Chelmsford City:[i/] Elliot Omozusi (24’), Michael Spillane (35’). 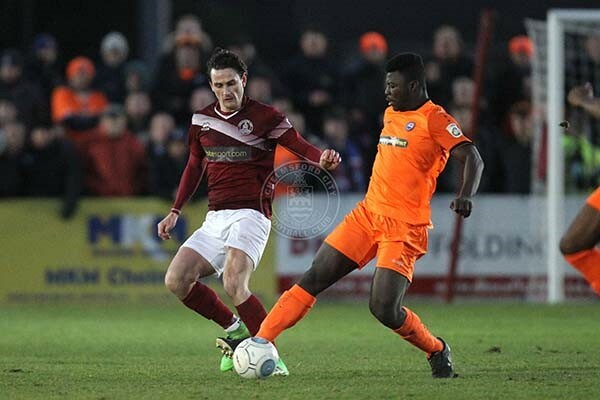 [i]Braintree Town:[i/] Christian Frimpong (32’), Mark Okoye (45’), Samir Bihmoutine (66’), Phil Roberts (81’). Match Officials: Jack Packman, assisted by David Hutton and Christopher Myatt.